Congrats to our Senior Boys Softball team who went 1-2 in the round robin at Regionals this past Sunday in Clarenville. They later lost in the Semi-Finals. Congrats to Tricentia for going undefeated and capturing the Regional Banner! a BIG thank you goes out to Kristina Hansford for coaching the boys on Sunday and to Mrs. Katie Hansford for being their teacher sponsor. We appreciate all your efforts! 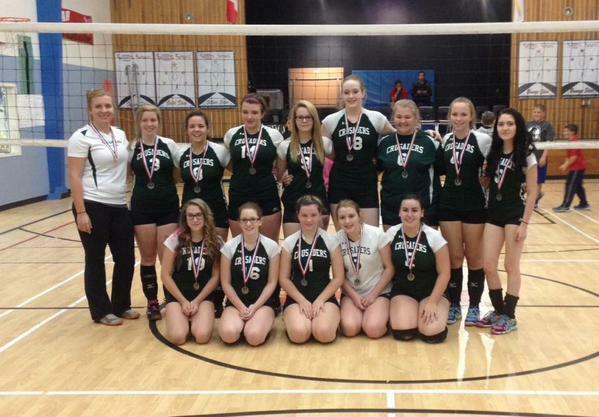 Another congratulations goes out to our Senior Girls Volleyball team who captured silver at their invitational this past weekend at RIA. The gold medal match saw RIA lose in a close third set to a tough Tricentia team. Thank you to Mrs. Smith for all your efforts in coaching and organizing this event! Thanks to all our parents and student volunteers who made this event possible!!! This entry was posted in School Life Archive and tagged athletics, School Life on October 5, 2015 by riawebsite.